What would you feel like if one day you woke up and realized that your absentee, alcoholic dad was in the CIA and you never knew? Ian tells us what waking up to this realization was like for him. We follow him through the tale of his childhood and how scared and lonely his growing up years had been. We watch his dad erode into an alcoholic demise and see the impact that it had on Ian. This is a book that I think many of us can relate to. I didn't have much of a childhood myself and I wholeheartedly connected to Ian's struggle. He went through his own battle with alcoholism trying to cope with the sting of having an angry, demeaning parent. The amazing part is how our protagonist survived. He clung to the words of a radio personality and hung on to hope. 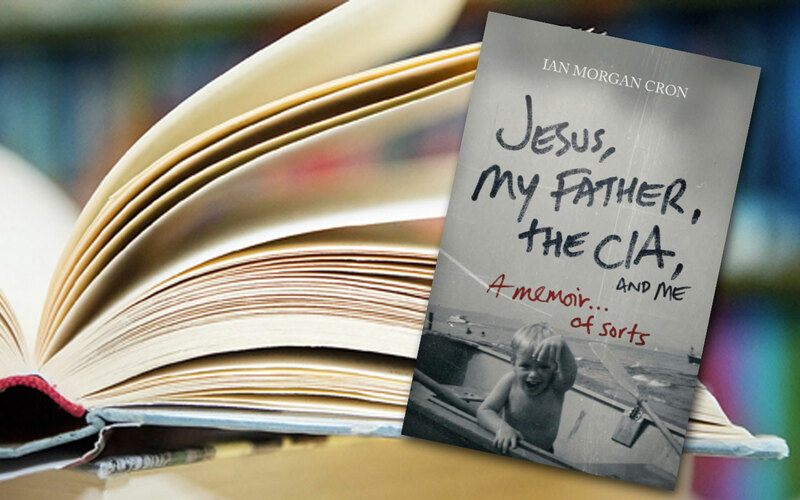 We follow him through a Catholic upbringing and some truly fearful situations. The beauty of this story is where Ian is at now and how he is choosing to live invested in his family. He is a pastor and author. Ian is a fun dad. He has chosen to forego the pain of his past and be the father that he didn't have growing up. He is a lighthouse of hope to those of us who want to be better than the example we were given. Read the book. You'll like Ian. He's funny.